Reviews | My life, my rubbish, my craps! 15-hour wear, light as air: long-wear makeup is now lightweight makeup. It’s makeup that keeps up. Fresh, natural, comfortable. Goes on sheer, leaves skin free to breathe all day. Controls oil. Resists smudging and wont “melt” off through heat and humidity. For a look that stays vibrant and fresh whether it’s a workday, a workout or a weekend. Smooth it on once and don’t think twice about it. Water, Cyclopentasiloxane, Trimethylsiloxysilicate, Butylene Glycol, Trimethyl Pentaphenyltrisiloxane, Phenyl Trimethicone, Silica, Magnesium Sulfate, Polyglyceryl-3 Diisostearate, Tribehenin, PEG-10 Dimethicone, BIS-PEG/PPG-14/14 Dimethicone, Ethylhexylglycerin, Phenyl Methicone, Sodium Hyaluronate, Dimethicone, Polyglyceryl-4 Isostearate, Laureth-7, Glycerin, Polymethylsilsesquioxane, Hexyl Laurate, Cetyl PEG/PPG-10/1 Dimethicone, Chamomilla Recutita (Matricaria), Disteardimonium Hectorite, Methicone, Propylene Carbonate, Tetramethyl Hexyphenyl Tetrasiloxane, Cellulose Gum, Xanthan Gum, Dimethicone Silylate, Tocopheryl Acetate, Alumina, Sorbic Acid, Chlorphenesin, Phenoxyethanol. May contain: Iron Oxides, Titanium Dioxide, Bismuth Oxychloride, Mica, Ferric Ammonium Ferrocyanide. Hello beauties! Let’s talk about makeup today! 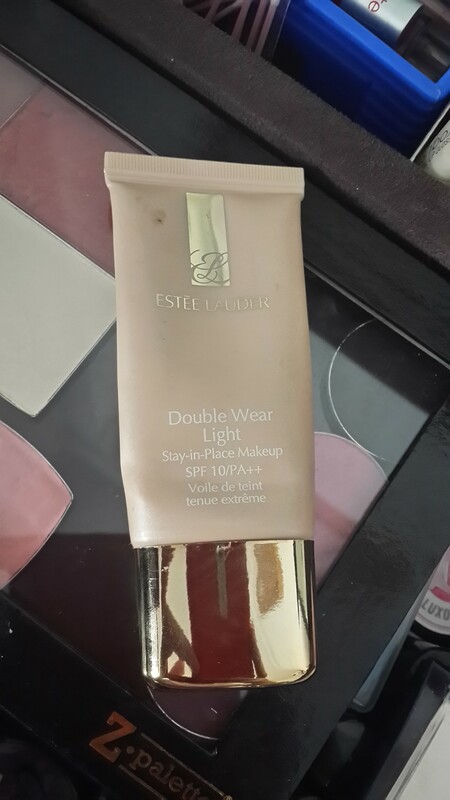 One of the first foundations I ever tried was from Estee Lauder. This one has sit in my makeup drawer long enough and after sporadic usage I manage to finish it, yay! Pat me, please? lol. Finishing base makeup seems to be impossible back then when I was still trying out gazillion of bases back then, it just seemed to last super long. I intended to review this one and I kept postponing it and before I realized it’s already an empty by the time I took a shot at it. Pardon me.. If you were wondering about the slightly different packaging, mine was the old packaging, with all-gold cap. Estee Lauder Double Wear Light Stay-in-Place Makeup SPF10 comes in a tube with a small nozzle. The opening is small enough so as to give controlled amount of product dispensed. 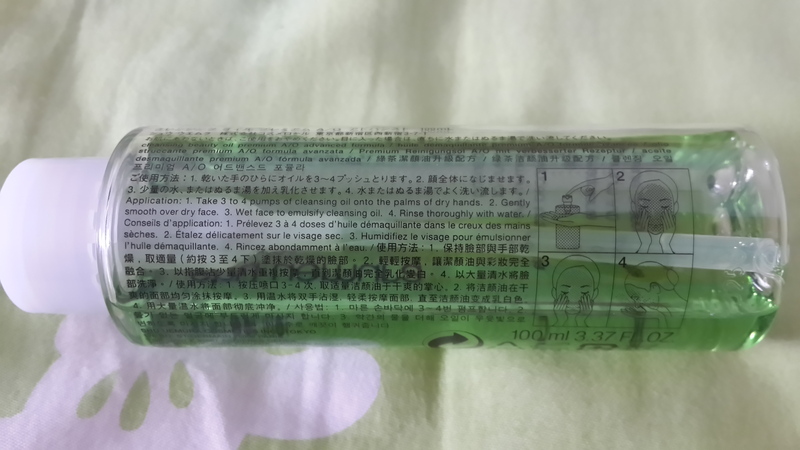 However, like any other tube packaging, you have to be extra careful when bringing this out on traveling, especially if it involved traveling by air. The pressure change might cause a little explosion, so beware (personal experience). 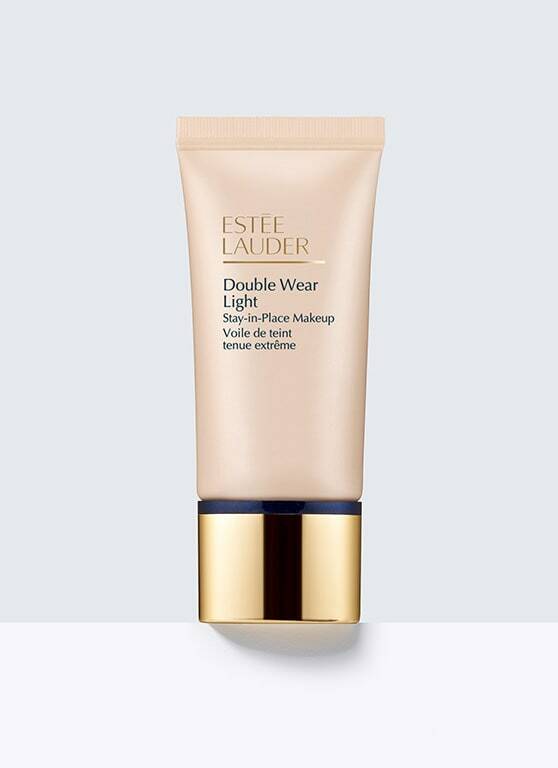 Estee Lauder Double Wear Light is the lighter counterpart of its heavy duty best selling Double Wear. Double Wear Light, as its name implicates, provides a light coverage, and it’s buildable up to medium coverage. The texture, as you have seen in previous post, is quite light but not too runny with no discernible scent. It’s easily spread, but can get a little tacky. Hence me adding some silicone-based primer on every application. It has the tendency to settle into any fine lines it can find, so the primer helps to counter this side-effect. For such a light texture, I’m surprised it always sink into my fine lines *sigh*. It has SPF10, but in our tropical country such meager sun protection is surely not enough, so please wear a separate sunscreen underneath. 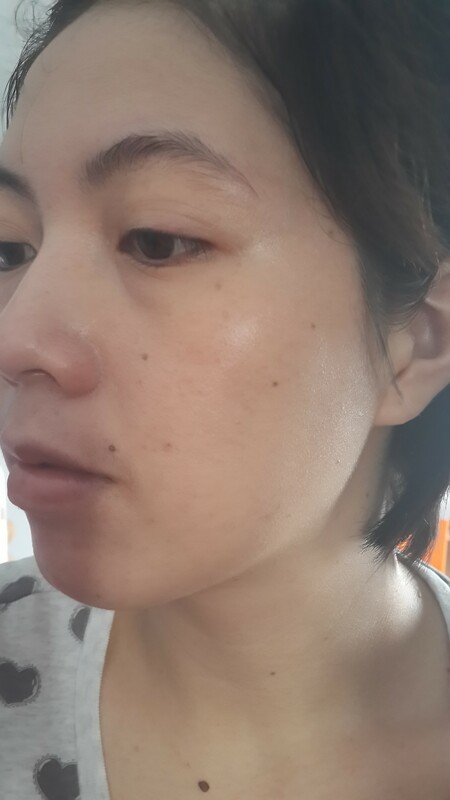 The coverage is enough to cover my pigmentation without looking to cakey. With light application, it immediately evens out my skintone. Any redness around my nose and cheeks are immediately neutralized. The finish is semi-matte, which is what I always prefer in my base makeup. 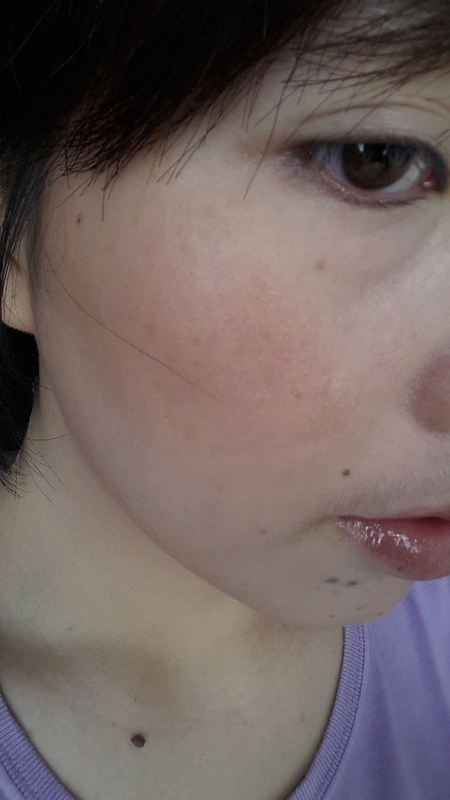 I still need to conceal my undereye dark circles though as the foundation only manages to cover a tad bit of it. The dark circles still peek through it. The shade I was matched is Intensity 1.0. The shades available is less extensive compared to its sister, Double Wear but there are 9 shades available. Intensity 1.0 pretty much as neutral undertone so it fits me to a T. It’s pretty hard finding a neutral undertoned bases, most are always leaning towards yellow or pink. 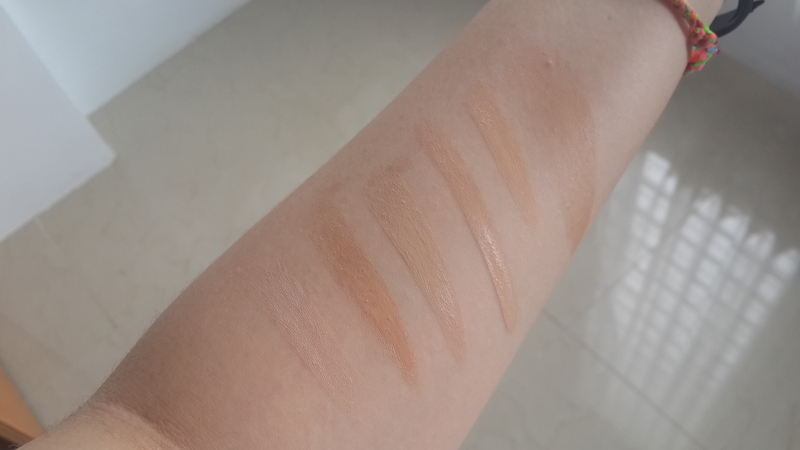 I have swatched it along with my other bases and you can see it’s the most neutral one. On me, once I set the foundation with loose powder (currently using SK-II Loose Powder) it stays on whole day until I removed it. Pretty impressive for the staying power. Eventhough the description states you can use it on a workout, I won’t recommend it. I personally think when you workout, all those sweats need to come out and I just hate the icky feeling when it’s mixed with whatever makeup I have on. So I always remove my makeup before working out. Besides, I usually just change my outfit and continue doing something else before showering, so I don’t like the foundation mixed with sweat stays on my face for too long. If you’re proned to breakout, never forget to remove your makeup before workout and at the end of the day. The foundation itself is not waterproof, so while sweating profusely there might be a little bit of it melts off but most of it stays intact throughout the day. Would I repurchase? No. 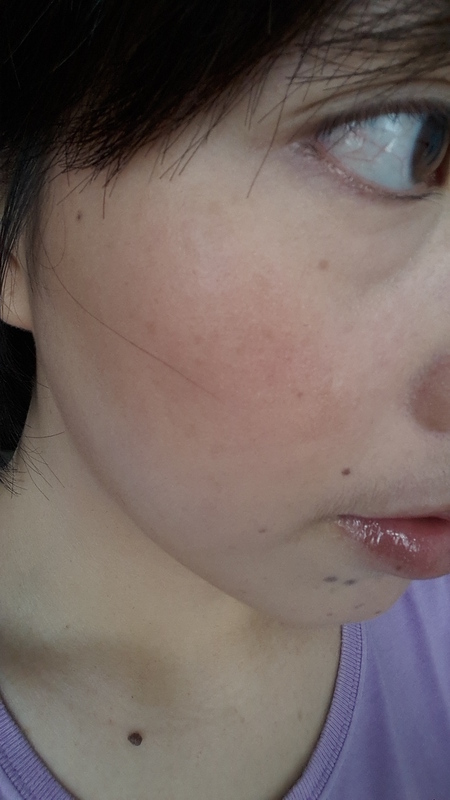 I don’t like that it sinks into my fine lines despite the light texture, I’m moving on to other foundation. We had a good run but that’s it haha. Good morning peeps! Welcome to the fourth installment of Oh-My-Blush! series. For those who are new here, Oh-My-Blush! series contains review and swatches of my favorite blush, or whatever left in my stash :). The star of the day is NARS Taos! Please pardon the defiled pan of NARS Taos. 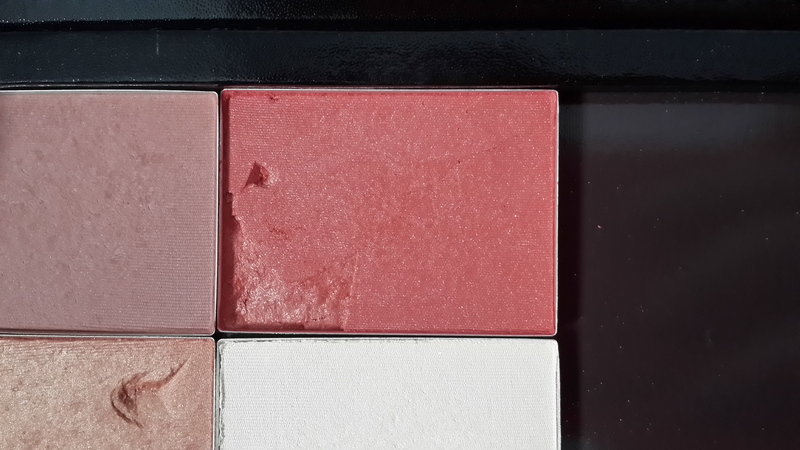 I depotted mine quite a while ago into Z-Palette, and Taos was the first one I tried so the inexperienced me pricked the knife wrongly and I ended up with this *sobs*. According to NARS, Taos is warm desert rose. It’s true, it’s very warm and has gold micro-shimmer that lends it the warmth. 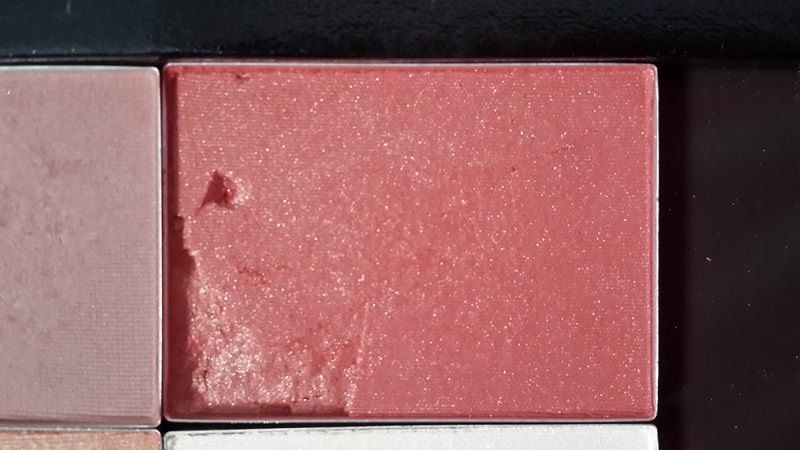 Mind you, the blush is strongly pigmented, so I would suggest to use duo-fiber aka stippling brush to apply this (I personally like using MAC 187 for NARS blushes). NARS Taos is not something you want to put on when you’re in a rush as overapplication might be the big issue here. You don’t want to end up looking like bozo the clown aren’t you? Applied right, it’s a very flattering shade that warms up complexion immediately. Staying power is pretty awesome, it refused to budge even after 8 hours. There’s slight fading once it hits 10-hour mark but it’s still pretty much there. Pretty impressive huh? 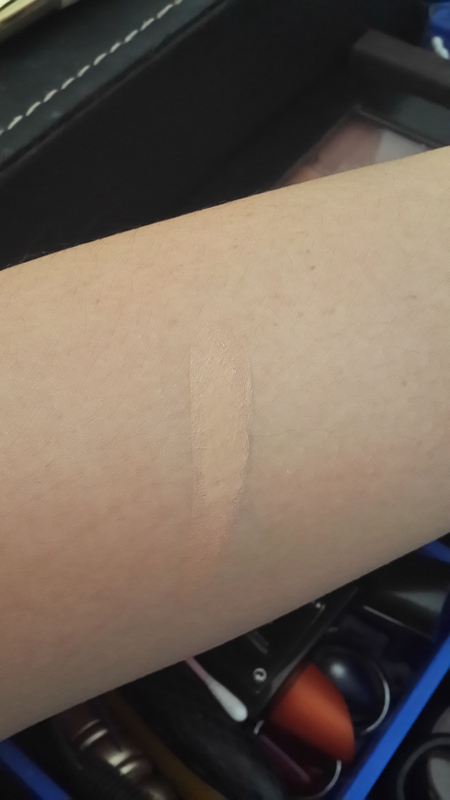 It may look scarily dark in the pan and the swatches below do tell how crazy pigmented it is, but it’s a shade that would flatter most skintones. I believe this will look great on medium to dark complexion, but fairer ladies definitely can pull this off as well. It’s not overly warm, so cool toned ladies can breathe a relief sigh lol. However, fairer ladies must take precaution on overapplying as it may look too muddy. On me, NARS Taos is a flattering rose with gold shimmer peeking through. It’s really pretty, I can’t deny it. To me it’s a pick-me-up shade when I don’t get enough sleep, which is very often lately. It brightens up my complexion a notch as well. Despite all the running, carrying baby boy in such humid and hot weather, it stays put. 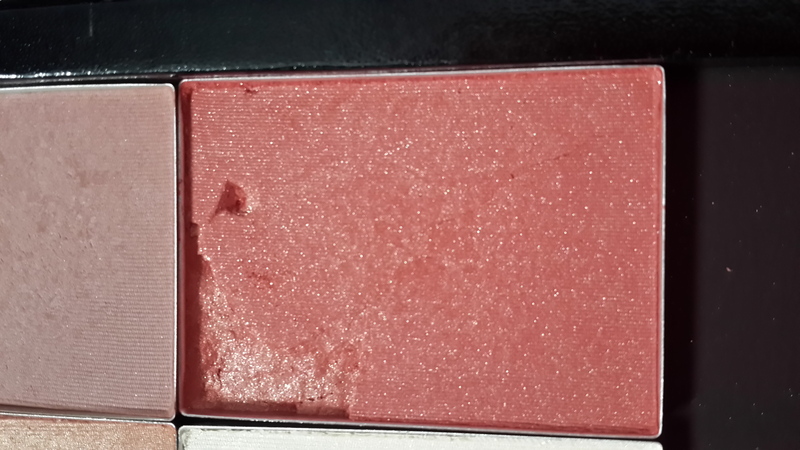 This one is truly an industrial strength blush lol. Priced at USD 30, it’s not exactly cheap, but since you only need a few dab, this will definitely last ages. NARS cosmetics is not available in Indonesia as of now, only in online shops. It’s usually priced around IDR 400.000-450.000, depending on the seller. Now on the packaging, I totally loathe it. The rubber packaging is yucky because it’s frickin melting in our tropical weather. 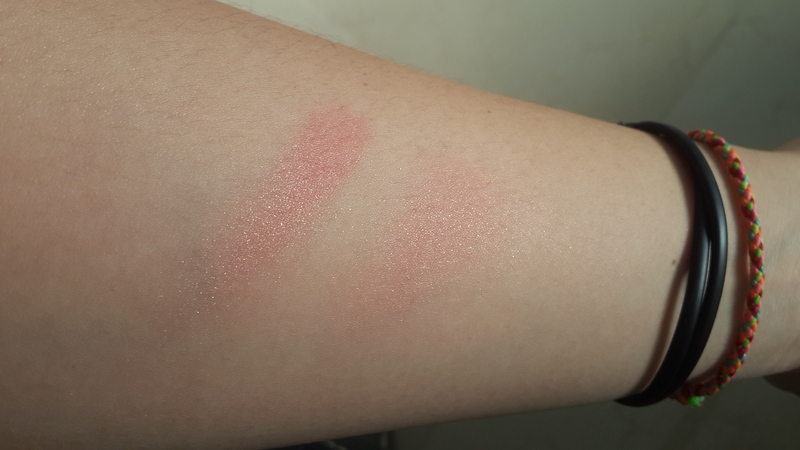 It becomes so sticky and leper-like I decided to toss it away and invest in Z-palette. When NARS Cosmetics came to Malaysia a while ago, they said the rubber packaging has been revamped to adapt to our crazy hot weather. I have none of the new packaging, but I’ve got responses that the new packaging is better. Quite a relief now eh? Go get one yourself now! If you think Taos is not for you, check out NARS’ other shades, it has a pretty large selection so you’re definitely can find one that suits your need. 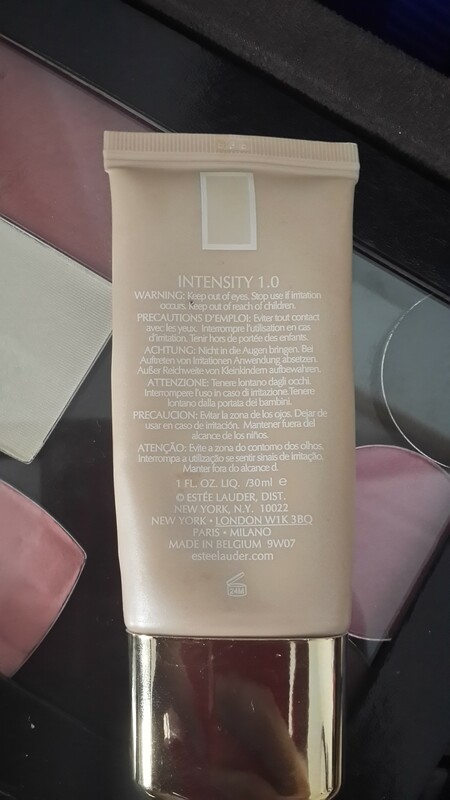 I experience such problems when applying my Estee Lauder Double Wear Light foundation. I don’t usually use foundation brush when applying this as I find fingers work better and faster. Oh I do wear brushes but not all the time, to spare me the brush cleaning afterwards lol. It’s just easier to clean my fingers with wet wipes rather than going fullblown brush cleaning. Besides I found that the warmth helps to ease the foundation to melt into the skin better. Now, on my good skin days (read: I use face mask the night before) the foundation applies smoothly. On so-so or even bad skin days, it looks horrible, just doesn’t work. Why don’t I just toss the foundation out, you might ask? Simple reason, the shade fits me to a T and I bought it with my own pennies lol. There’s no return policy here in SE Asia as far as I’m concerned so I have to find ways to make it work. So few days ago I stumbled upon my old scribbles and found I have jotted down mixing foundation with primer idea. The goal is smooth and better application. I mix the foundation with a little bit of whatever primer I’m currently using, in this case Monistat Chafing Relief Powder Gel which is loaded with silicones and the result was amazing. The foundation glides on smoothly and no streaks at all. 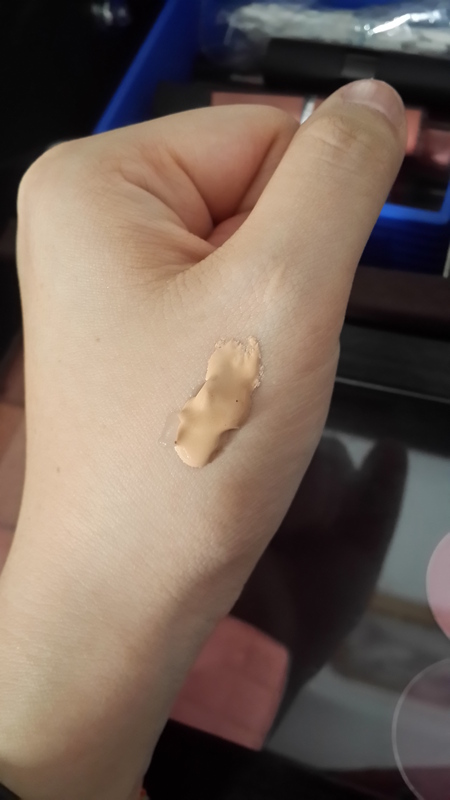 I also found that I end up using less foundation this way, so it’s a saving for me. I can always dispend more if I needed more coverage but most of the time I only need sheer coverage so it’s more than sufficient for me. The foundation actually lasts a lot longer on me this way. It’s a win-win! The primer I’m using is loaded with silicones hence the smooth gliding result. If you’re allergic to silicones feel free to mix it with primer of your preference, I’m sure it will work just fine. I tried mixing my foundation with Guerlain primer, the one comes with pearls, which is a gel base and it work just as good. It didn’t glide as smooth as using silicone-based primer but the result is pretty much flawless. 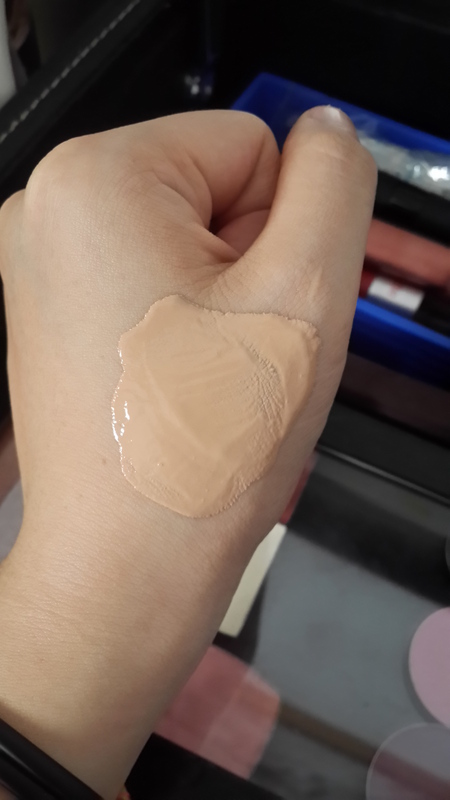 Some people I know mix their foundation with moisturizer to achieve similar result, however the coverage becomes so sheer like that of tinted moisturizer. Using primer retains the coverage I want. Nevertheless, it’s all your choice and you can always adjust it according to your needs :). Have any of you tried this before? Which primer do you use? Do share your beauty tips in the comment section below :D.
Hello beauties 😉 Today I’m going to do a product smackdown between two sleeping packs, the highly raved one from Laneige and one from Neutrogenya which I encountered by accident. I swear I didn’t know I have the Neutrogena one in my drawer as the box is eerily similar to their gel moisturizer which is my staple day moisturizer haha. So let’s begin! Before dwelling further, sleeping pack is a leave-on mask you put on after your night skincare routine (or you can opt to skip your skincare and just proceed straight away with this mask) and leave it overnight. For the purpose of having an idea how good it performs I put it on sans my night skincare. 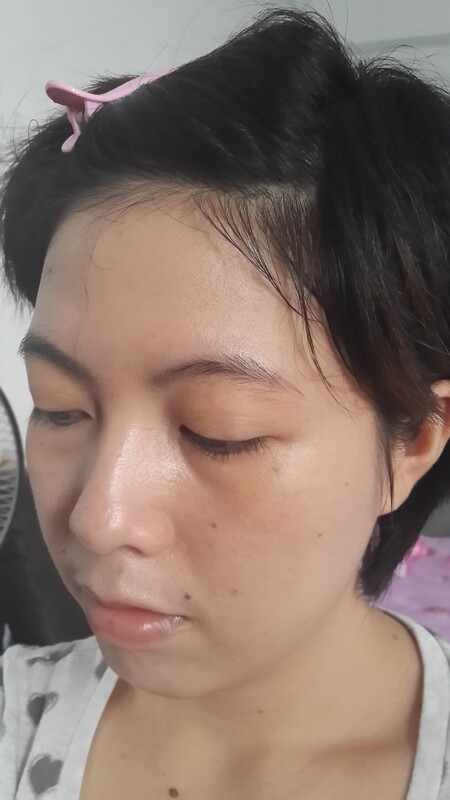 I have few sachet samples of Laneige Water Sleeping Pack_EX from beauty box subscription, each sachet was good for two uses. 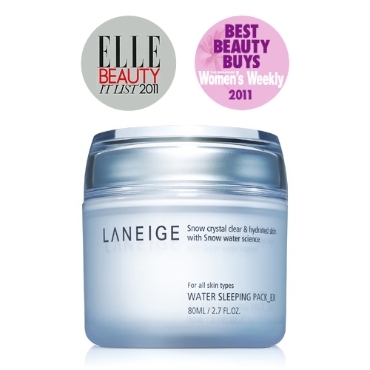 Laneige Water Sleeping Pack_EX is runny gel which spreads on very easily. Don’t fret if it wasn’t absorbed into your skin because hey it’s a sleeping pack lol. It’s claimed to provide intense hydration, vitality and brightening effect. What I noticed in the morning after application is that my skin feels hydrated, a tad bit more compared to just using my regular skincare. Vitality? Meh. Brightening effect? Not sure about this as I didn’t feel there is any difference. 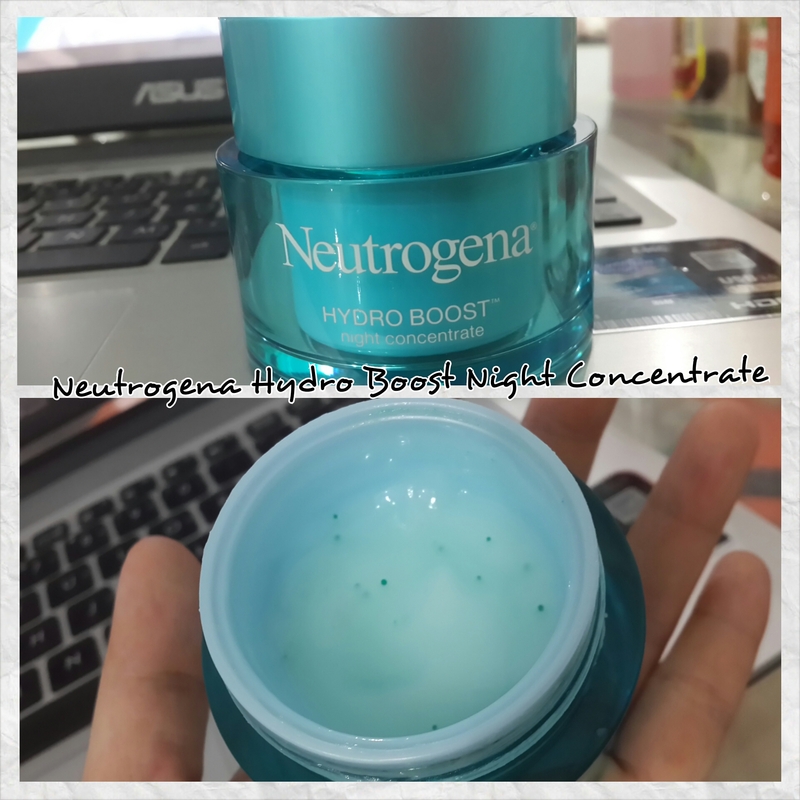 The competitor is Neutrogena Hydro Boost Night Concentrate Sleeping Pack, such a lengthy name! It comes in exactly the same jar as gel moisturizer. Even the texture is similar, albeit slightly thicker with tiny blue speckles which crushes upon application. I applied it sans skincare as well. Unlike Laneige that comes with so many different claims, Neutrogena only promises hydration, that’s it. Hence it delivers what it promised. I woke up to a hydrated and supple skin :). It does what it claims. Scent-wise Laneige is more lightly scented although Neutrogena’s scent wasn’t too unbearable, it dissipated pretty quick so it’s not a problem to me. Both hydrated my skin well but I noticed Laneige only delivered one of its claims despite being packed with more complicated substances (Beta Glucan, Ceramide SLN, Hunza Apricot extract and Chestnut extract) compared to Neutrogena (Hyaluronic Acid, Olive Oil and Ionic Mineral Complex). Price-wise I coudn’t remember how much the Neutrogena’s priced at (since I didn’t even know I have it haha) but considering Neutrogena is a drugstore brand and Laneige belongs to department store I can safely say Neutrogena Hydro Boost Night Concentrate Sleeping Pack is more affordable than Laneige Water Sleeping Pack_EX. 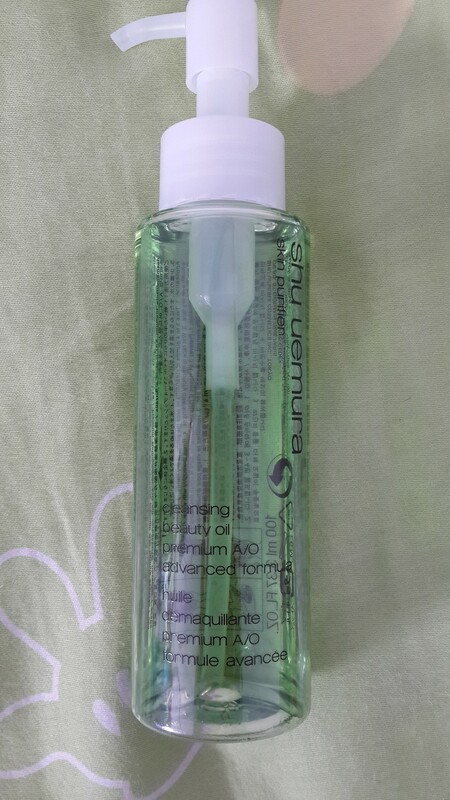 However, Neutrogena is not readily available in Indonesia, I think I got mine in Malaysia. I will definitely buy more backup for this good stuff on my next visit. It’s creeped slowly into my weekly routine ;). Water, Cyclopentasiloxane, Galactomyces Ferment Filtrate, Glycerin, Niacinamide, Triethylhexanoin, Isopropyl Isostearate, Pentylene Glycol, Caprylic/Capric Triglyceride, Butylene Glycol, Cetyl Alcohol, Sucrose Polycottonseedate, Sorbitan Stearate, Hydrogenated Lecithin, Hydroxypropyl Methylcellulose Stearoxy Ether, Batyl Alcohol, Behenyl Alcohol, Benzyl Alcohol, Stearyl Alcohol, Undecylenoyl Phenylalanine, Methylparaben, Dimethicone/Vinyl Dimethicone Crosspolymer, Aminomethyl Propanol, Sodium Benzoate, Disodium EDTA, Acrylates/C10-30 Alkyl Acrylate Crosspolymer, Squalane, Panthenol, Polysorbate 80, Ascorbyl Glucoside, Fragrance, Sodium Methyl Stearoyl Taurate, Centella Asiatica Extract, Lecithin, Polymethylsilsesquioxane. It’s still the continuation of SK-II skincare ark lol. Today I’m moving on to moisturizer, Cellumination Deep Surge EX. As usual, I received this as part of GWP. The sample I had was travel size tub. 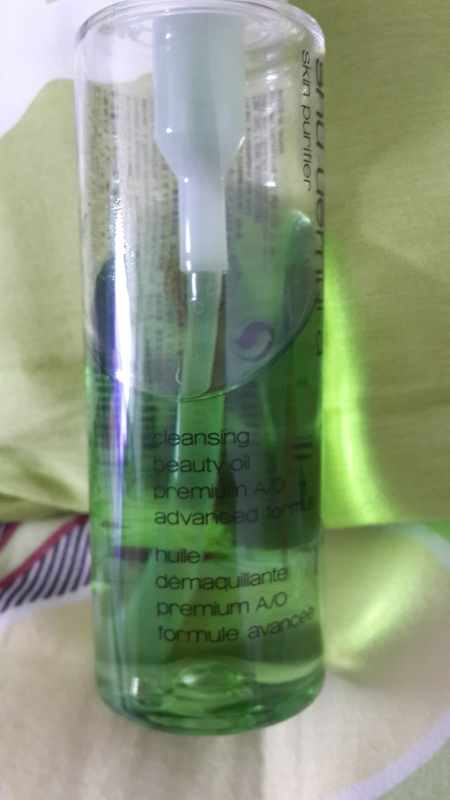 It’s pretty handy once I’m done with it as I can use it as my traveling container :P.
Cellumination Deep Surge EX hails from the latest line of SK-II skincare products aim at brightening effect. I’ve seen the full size tub in real, and oh boy it’s such a pretty packaging with all those pearlescent packaging, I’m a sucker lol. The first thing I noticed when I first used this moisturizer is the presence of shimmer. I was like, omigosh what’s shimmer doing in moisturizer?? However, once applied the shimmer was not noticeable. 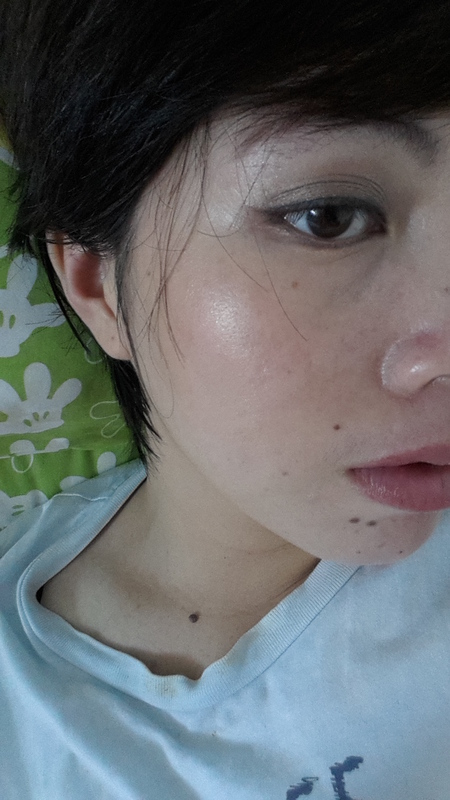 Maybe the shimmer contributes to translucent glowing effect that SK-II promises. Putting shimmer asides, this is actually a pretty great moisturizer. It’s creamy but very light and was absorbed almost readily. I’m using patting motion for application. It may get a little slippery during application due to the presence of silicone, but once absorbed I feel nothing but moisturized supple skin. There’s a faint scent of citrus and rose which doesn’t bother me. It’s relaxing actually. I took a good sniff and it never gave me headache so I just proceeded and got addicted to the scent eventually haha. Performance wise, I noticed after a month of use, my skin is noticeably brighter and also I no longer have dry patches. Do notice that I said brighter, not fairer. My skin just looks better and more radiant, but it does nothing to my pigmentation. Now, I exclusively use this a night moisturizer. The website recommends using it daily, both day and night. Some bloggers stated it should be incorporated into nighttime regimen. It’s a little confusing, but given the light texture you can use it as daytime moisturizer as well. It’s just a personal preference, really. Whatever works for you, right? I prefer lighter texture for day moisturizer, like gel as I like to layer my skincare in the morning so it’s better for me to slap on lighter textured stuff. It cuts down the absorption time. Will I get myself a full size tub once I’m done? Maybe, I’m still contemplating. Besides I still have the Stem Power moisturizer to try on. I will see how it fares with the other moisturizer and make my decision :P. If I do, I will need to rearrange my beauty financial budget to fit this in, haha. Baby is top priority for now lol. Do you have any suggestion for cheaper alternatives? I’m dying to know.. I decided to continue my Oh-My-Blush! installment featuring one blush at a time. Now I can’t promise how regular this installment will be as I’ve already cut down gazillion of blushes in my collection so I will try to make it a weekly thing 😉 The blushes that I have right now are my favorites so don’t judge me if I sang praise to the heaven for these blushes lol. I’m biased that way. So to kick it off I’m gonna present you with Benefit Bella Bamba! Shake that booties to samba rhythm! Oh I just fail miserably trying to make things rhyme. 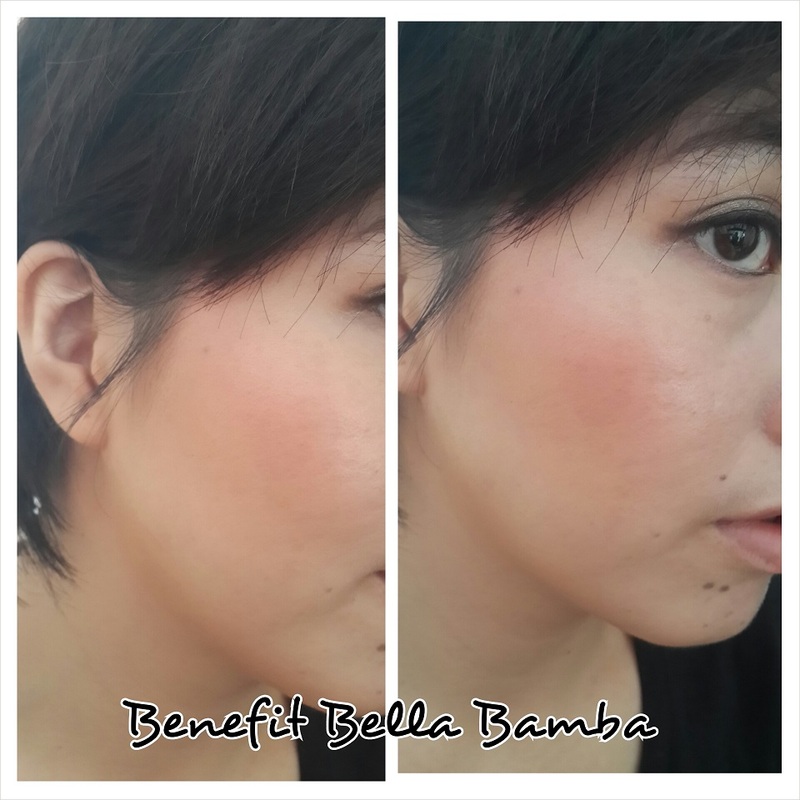 Bella Bamba belongs to Benefit’s Box ‘O’ Powder range. I used to have Dandelion and Georgia but those two were too sheer for my liking, so I ditched them. Oops sorry, I swapped them away :P. I can faintly remember I had a hard time to decide whether I should take this baby home or Coralista. I was attracted more towards this blush just because the packaging was too gorgeous to pass, gawd I’m a sucker. According to Benefit, this is a 3D brightening face powder. Look at the box, it even says 3D pink. Honestly I have no idea what 3D pink means *baffles*. To me, Bella Bamba is strawberry pink with gold shimmer. Benefit suggests to apply this on the cheeks and *lo and behold* dot at the hairline. Dot at hairline? Have you ever seen people putting PINK on their hairline. No, thanks, I’ll just stick to the traditional way of applying blushes. 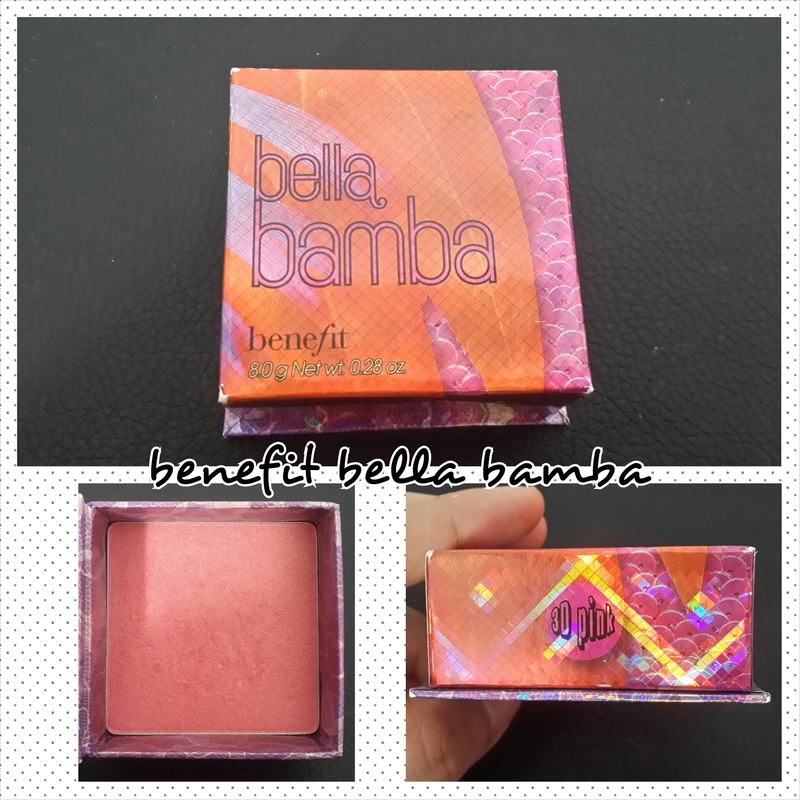 Mind you, unlike other Benefit Box ‘O’ Powder mentioned above, Bella Bamba is fairly pigmented. 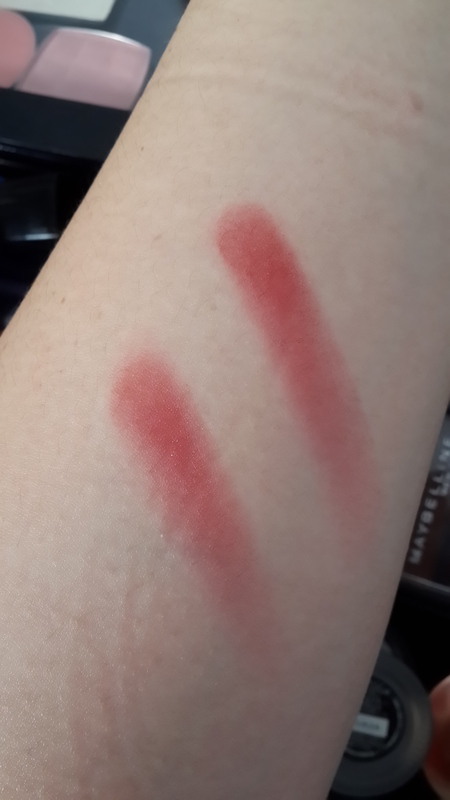 It’s not as pigmented as NARS blushes but a light hand is still needed if you don’t want to overdo your blush. So please be careful. I usually use stippling brush for application as it’s easier for me to control the amount of blush placed on my cheeks. On me, Bella Bamba sticks like a leech. It stays on whole day with minimal fading. My skin is on the drier spectrum so blushes usually stay put throughout the day. I still can’t vouch for oily-skinned ladies. Maybe I should ask my sister to put this on and see how it fares (Dang how come I never thought about this??). I shall update this post once the experiment’s done ;). Priced at USD 28 it’s not exactly cheap but considering a little goes a long way I can justify the price hehe. I won’t repurchase as this blush is gonna last me a lifetime, or maybe two. Where can you get this? I’m not sure whether Benefit Cosmetics is available in major cities in Indonesia, please let me know if any of you ever encountered one. Even if there isn’t any at the moment, Sephora’s coming to Jakarta pretty soon I heard so it will be available at Sephora. You can also find this at IndoMakeup, where I got mine. I’m not affiliated to IndoMakeup but I found their service to be excellent. Ah I’ve been blabbering too much. 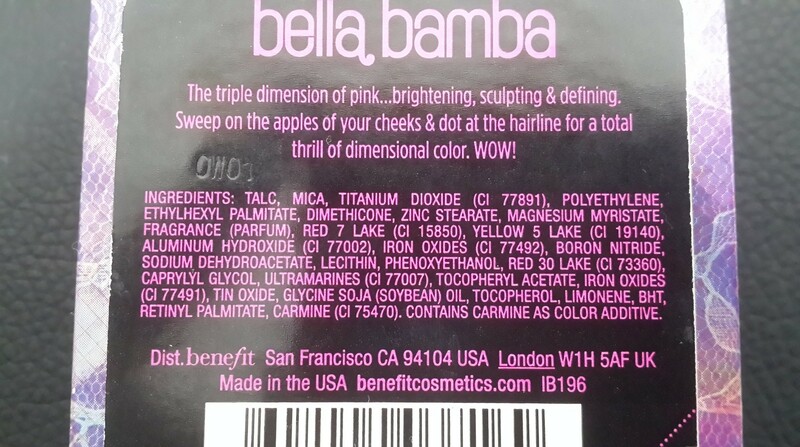 To conclude, Bella Bamba is a pretty strawberry pink with gold shimmer which looks awesome on fair to medium skintone. It lasts all day long so one box could definitely last me ages. Watch out for the next issue of Oh-My-Blush!